In his posthumously published methodological reflections Apologie pour l’histoire, ou Métier d’historien (in English, "The Historian’s Craft"), Marc Bloch argued that historians' use of evidence against the intentions of those who produced amounted to "a great victory of intelligence over mere facts." 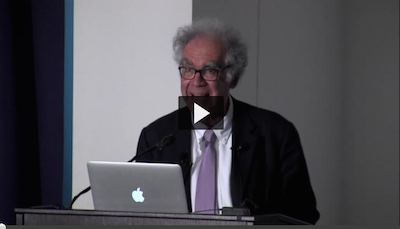 In Carlo Ginzburg's lecture he analyzes the approach described by Marc Bloch, exploring a) its long-term history; b) its connections with antiquarian scholarship; and c) its methodological implications. 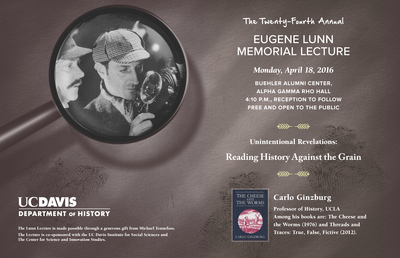 Ginzburg argues that Bloch's remark may help clarify the relationship between fictional and nonfictional evidence, as well as, indirectly, between fictional and historical narratives — an issue that during recent decades has been at the very center of the debates for, and against, post-modernism.